Givenchy launches ‘Blooming’ for A/W 10. 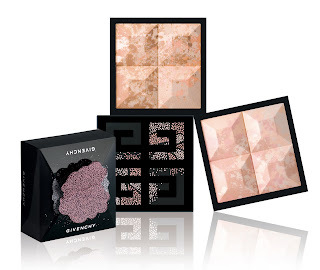 Givenchy are one of those luxury brands that make you silently squeal with delight on the inside should you receive an invitation to one of their swish events to experience their products. Givenchy’s take on colour is renowned. This season, Nicolas Degennes has been inspired by Japanese visual artist and music composer, Takagi Masakatsu, whose swirls of colour work is a collage of sound, music and video utilising technology with an almost classical beauty. Exactly right for the basis of a range which is as colourful, pretty and beautiful as Masakatsu’s work.. The Autumn/ Winter 2010 ‘Blooming’ collection is a dreamlike metamorphosis in which colour is reawakened and blossoms before your eyes. 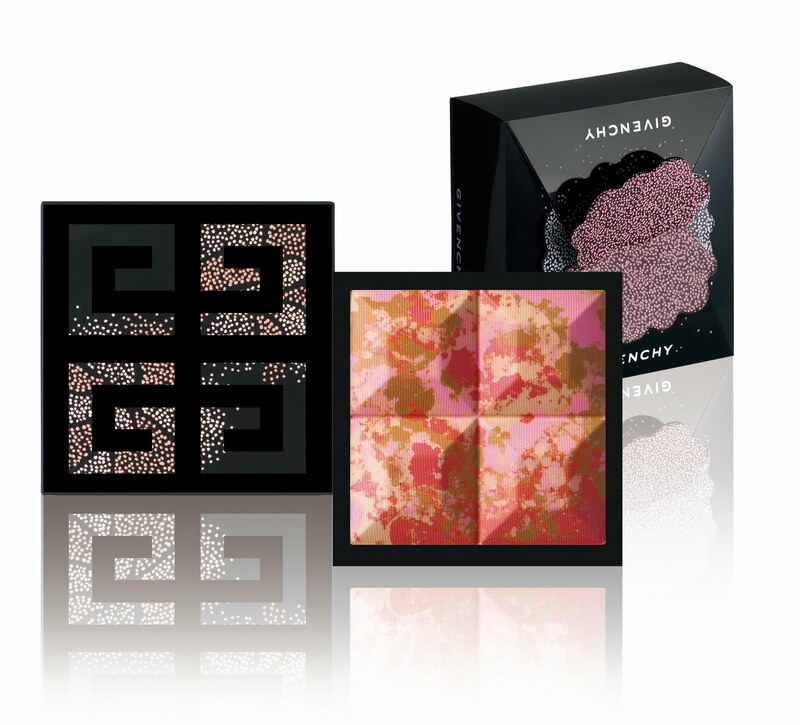 In Le Prisme Visage Blooming compact powder (£32.50), four shades are used for each of the two powders but blended thoroughly and at random. Blooming Pinks show touches of pink for paler complexions while Blooming Apricots have a light, cheerful pale orange for darker skins. The Limited Edition Le Prism Blush Blooming (£29.50) is created with the same process as the powder but combining and swirling a harmony of reds and pinks. A soft bloom is added to cheeks on application. In terms of packaging, both the Visage and Blush powders have a new clap & slide box with a neat capsule slide mechanism containing the applicators. 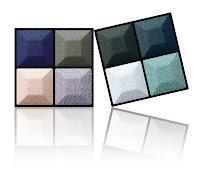 The beautiful shades of Le Prisme Yeux Quatuor are four delectable shades that blend and merge together perfectly, neither screaming nor hiding but highlighting and accentuating the wearer’s best features. Blue Collection (No 75) highlights blue eyes in dense dark glimmery shades of midnight blue. If blue is not your colour, choose purple or khaki in shades that complement. Lips are delicate soft pinks with the merest slather of orange, slightly wet, sheeny and luscious. Choose between the ultra shine lipstick in Bloooming Apricot or Blooming Coral (£18.50) or an ultra shine gloss in coral (£17.50) for a stronger, vivid pink. Finish off with Lip Liners that come in Candy and Orange for perfectly defined lips. Givenchy’s new ‘Blooming’ range is a swirling swathe of floral blooms that capture your imagination and highlight the best of new season colour. Givenchy’s ‘Blooming’ range previews in Harrods from August 2010 and is on counters nationwide from September 2010.